Van der Veen’a deputy Khalik Sherrif has been appointed to the position of chief executive officer. Media company eMedia Holdings said on Tuesday, that Andre van der Veen had resigned as chief executive officer and from the board of directors with effect from November 30. The company said deputy CEO Khalik Sherrif had been appointed to the position of chief executive officer. It said Sherrif, who has a range of academic qualifications including an MBA and has worked in the media industry for more than 25 years, was the most experienced television executive within eMedia Holdings, having been with the group for more than 15 years and having been responsible for revenue and the success of the company’s sales team. “Khalik’s extensive knowledge of the changing South African media industry will continue to be of immense value as he takes over the reins from Andre,” it said. 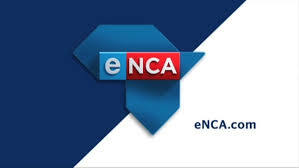 eMedia is a JSE-listed company that owns 67.7% of eMedia Investments, a media group with holdings in a variety of broadcasting, content and production businesses including TV channels e.tv and eNCA.